As a Canadian history buff and PumpTalk blogger, I'm always interested in stories about Canada's history on the road! So when I came across some fun facts about the history of driving here in Canada I thought I'd share them with our PumpTalk readers. At the turn of the twentieth century, gasoline powered cars started popping up all over the country, the most common, at first, being the 1903 Canadian-made Le Roy. Ontario was the first province to actually license motor vehicles - the first license plates, issued in 1903, were made of leather with numbers attached. Ontario switched to rubber license plates three years later. For those trail-blazing early adopters in 1903, auto care was sometimes a challenge. You had to know how to service your own vehicle (because no one else did) and the CAA did not show up when you had a flat on some back country road. You got your gas from the local general store or hardware store and it was a good idea to carry extra, so that you didn't get stranded. Automobiling was definitely a "paddle your own canoe" situation. 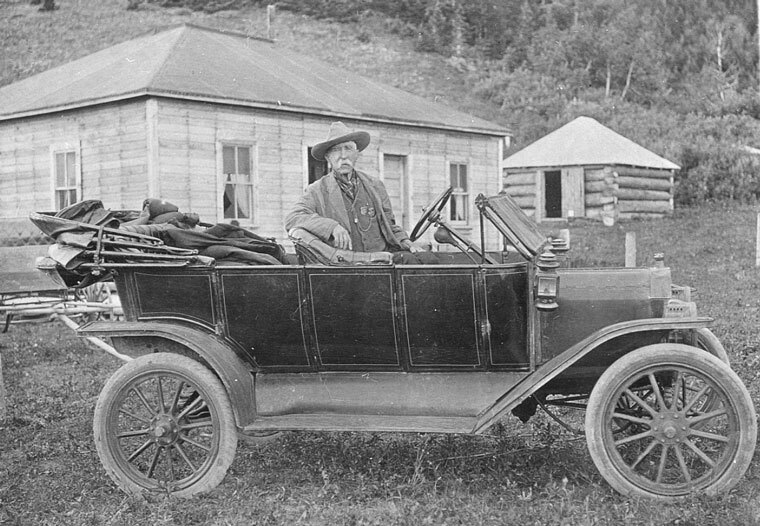 Roads were generally gravel, dirt or "corduroy" roads (roads "paved" with logs, making for a very bumpy ride) in the early 20th century, which added yet another thrill to early driving. Even though paved roads were rare at the time, that didn't deter the motor enthusiasts. In fact, in 1912, Thomas Wilby and F.V. 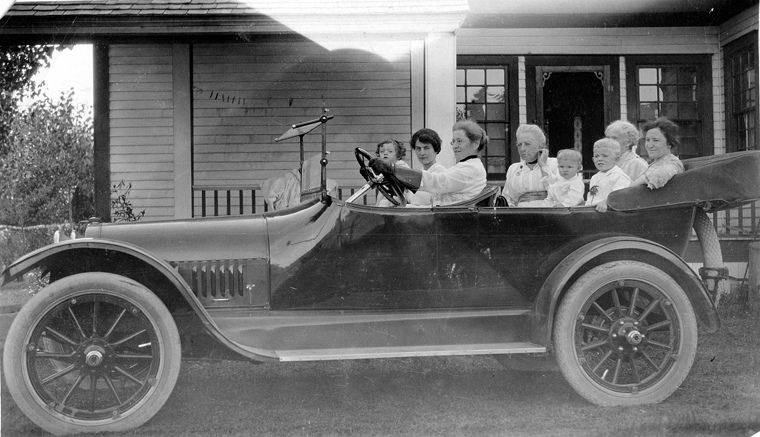 Haney made the first coast-to-coast car trip, from Halifax to Victoria. That's 38 years before construction began on the TransCanada Highway. Some folks at the time were pretty sure these horseless carriages (or "devil wagons", as curmudgeonly pedestrians or horse and buggy drivers called them) would never really take off. In fact, in 1908, Charlottetown, PEI voted to ban all automobiles from the Island (a ban that was ultimately lifted ten years later). Horse enthusiasts argued that the new vehicles were smoky and noisy - car enthusiasts countered that horses might be temperamental, required a lot of care and left manure in their wake. The argument could have gone on forever without Henry Ford's innovations in automobile manufacturing - once cars could be mass-produced, they became more affordable and people abandoned the horse-drawn carriage in droves. By the 1920s, there were hundreds of thousands of cars in Canada - over one million cars by 1929. Stay tuned for some more fun history of driving facts next week in Part II!